It’s been awhile since I last wrote an interview post so I was excited when this talented new author agreed to make an appearance on my blog. The fact that Megan O’Russell has already been featured in my interview series shouldn’t deter you from being excited either. 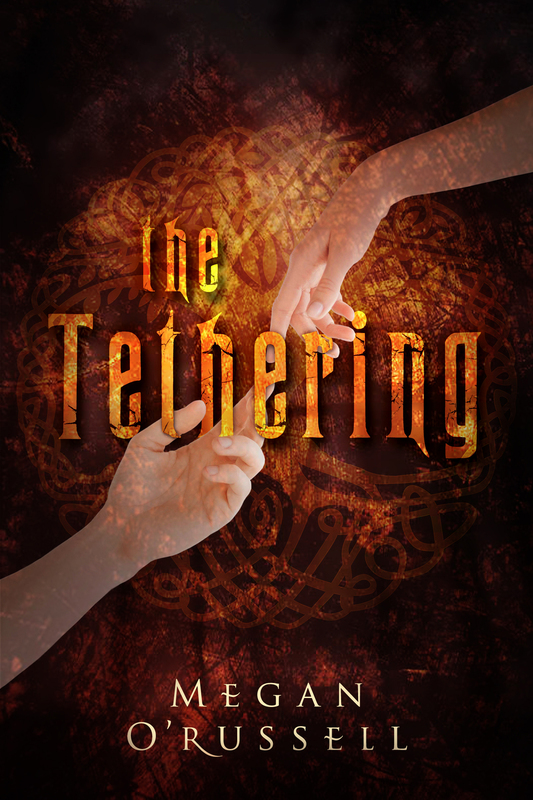 Since our first interview some four months ago, I’ve been fortunate enough to read Megan’s upcoming novel The Tethering and I can unequivocally say that it was a real page-turner! Or, it would have been a real page-turner had it been an actual book and not an e-book; it’s difficult to turn pages on an e-book, believe me – I’ve tried. Either way, The Tethering is a great addition to the Young Adult Magic/Fantasy genre and I’d highly encourage all of you to check it out. What follows then is my second interview with Megan O’Russell which includes, if I understand one of her answers correctly, an admission that an accounting character may play an important role in subsequent books in The Tethering series. Enjoy! First let me say congratulations on The Tethering; it’s truly a great book! With that said, the most pressing question that I have is this: Why did you agree to do a second interview for my blog? This is a multi-faceted question. First, because it is an honor to be on you blog. Second, because your questions are entertaining. And third and most importantly, I might actually need an accountant someday, and it might help to have a connection in the field. I’m not sure I know of any good accountants but if that time comes I’ll see what I can do to help you out. In regards to The Tethering, how excited are you to see all of your hard work come to fruition? It really hasn’t hit me yet. The day before Preorder was set to begin, I had a bit of a freak out and tried to run out our back door and into the Alaskan wilderness barefoot in my bathrobe. Once my husband pointed out I would probably die before morning without shoes, I went back inside and put on one left snowboot and one left rainboot. That didn’t work so well either. Since then, I’ve been pretty calm. I honestly have no idea what fruition means (I was trying to write something about fruit roll-ups and it was auto-corrected), can you define it for me? Fruition: The state of being real or complete. Speaking of being real, after our first interview a number of people asked me if I had made the interview up (like I would ever do such a thing! ), so in the interest of proving, once and for all, that you are a real person can you please provide my readers with some evidence to attest to this fact? You can check out my author facebook page! Now that everybody understands that you are in fact real, which, if any, of the fictional characters in The Tethering do you identify with or like the most? I am the most like Claire. The spunky, sarcastic, annoying twelve-year-old who is basically the younger sister to my leading lady. And as for who I like the most, that would be the protagonist, Jacob. The book began with him, and in my heart, it’s his story. What is your favorite book? The Last Battle in The Chronicles of Narnia. What would you do-oo-oo for a klondike bar? The ice bucket challenge in Alaska. For the record, it snowed this week. If you could only eat one food item for the rest of your life what would it be? Either apples or cheese. Maybe apple cheese. What has been your favorite play that you have acted in? Steel Magnolias. Seeing as how you just shared some very personal detail about yourself here is one about me: love musicals. How does that make you feel? After finishing The Tethering a few weeks ago I’ve had one pressing question that I would like to ask: If Harry Potter and Jacob were to get into a magical rap battle, who do you think would win? I think Jacob would win. Not because of any magical prowess, just because he went to a public high school in America and probably has a much better understanding of rap than a Hogwarts student. Which part of the process of writing and getting published would you say was the most stressful? Well, then where is Jacob now coming from? Who should be sitting next to whom if Emilia is the one who starts on the couch. Ahhh!!! Being asked to write in a whole new scene. Easy. Being told to take out a scene, painful, but doable. Changing POV, give me a juice box stat ’cause it’s going to be a horrible morning. Were there any times during the process of writing, and getting published, The Tethering that pushed you to the brink of giving up? If so, how did you deal with it? Losing my second publisher. I was offered a contract by a publisher. They never sent the papers. I said never mind. They closed. I was offered another contract. I signed it. We did edits and cover designs. There was a release date and a blog tour scheduled, and then one month before the release date, I got an email saying the publisher had decided to shut down. There were all types of shady dealings and non-payment to editors and the like, and I really started to wonder if I was doomed. Was I just going to make every publisher who wanted The Tethering shut down? And I really couldn’t face the idea of going through edits for The Tethering again. Rewriting scenes and making compromises again. I wasn’t afraid of submitting and being rejected, just surviving edits. Luckily, a connection I had made through publisher number two led me to publisher number three. And they are fantastic. Wonderfully communicative, lovely people — who didn’t make me re-do content edits. Since The Tethering did not feature any accountants I was wondering if you had any plans to include an accountant character in any of the future books in the series. Now that the book is officially published and available for purchase can you tell my readers where they can get a copy of The Tethering? Besides The Tethering do you have any other projects lined up that you could tell us about? I have too many projects. I’m a bit stressed about it, can you tell? Right now, other than the series I’m working on, a middle grade fantasy novel. It’s much more fantastical than The Tethering, and I’m having a huge amount of fun making up new magical rules. My wife and I both really enjoyed reading The Tethering and feel privileged to have had the chance to read it. With that said, has the privilege of being asked to do not one, but two, interviews for my blog really sunk in yet? There are some honors the human mind can never truly comprehend.